It's almost here. 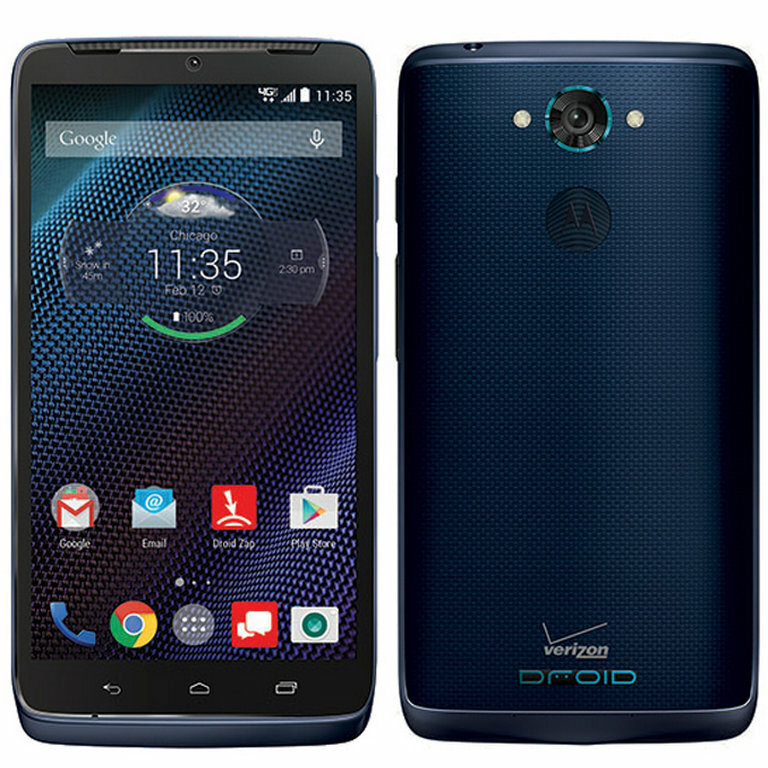 Verizon has finally provided some official details on the Android 5.1 rollout for the Droid Turbo. Motorola announced a soak test yesterday, and now Verizon says the final version should be made available tomorrow (Wednesday) afternoon. Verizon lists the version number as 23.11.38, which is what is rolling out now as a soak test. The update includes a lot of things like device protection, new notification modes, an updated UI, and some changes to Moto Actions. You can check the Motorola changelog from the soak test for all the details. Verizon says the update will start hitting devices in batches, but you'll also be able to manually install by going to the update menu. 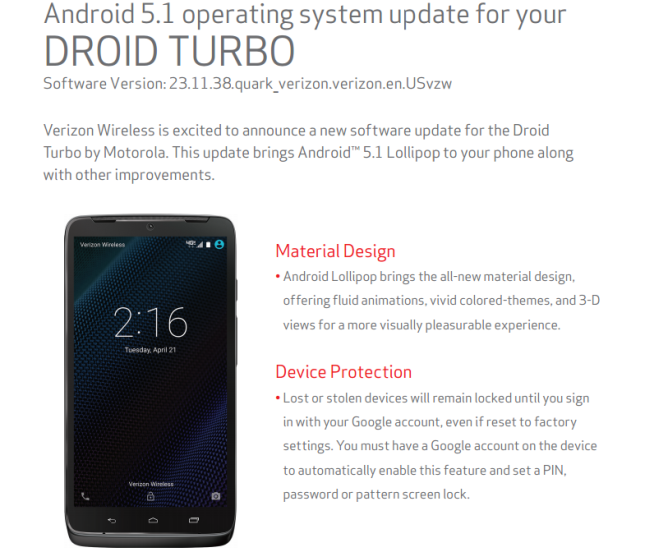 Get ready to pop the champagne, but don't get your heart set on an Android M update.